A big day came and went last week and in the midst of all our busy-ness I hadn’t had time to reflect on it until this quiet Monday morning. I just dropped the kids off, grabbed a hot cup of green tea and settled into my favorite spot at Heine Brothers coffee. Yoga class in 45 minutes. Aaaahhh. This is the life I am thankful to be living. Last week Tuesday, February 8th, 2017 Bennett turned 9. Apart from the consistent parental angst of watching your baby grow up (where does the time go???) this day carries a lot of emotion for me as it marks a time in our life when we were overwhelmed and scared, but also incredibly hopeful. 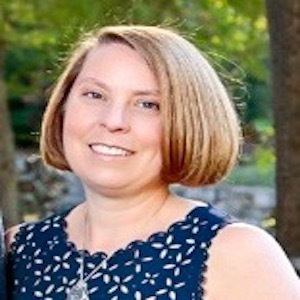 I was diagnosed with cancer originally when I was 30 years old, 7 months pregnant. 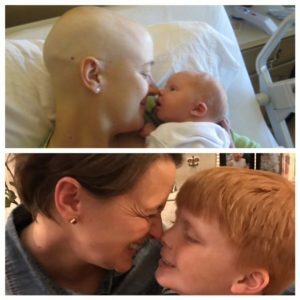 Together, Bennett and I endured biopsies, scans, lumpectomy, doctor appointments and 4 rounds of chemo. I remember sitting in the infusion chair for the first time watching toxic chemicals steam into my vein and feeling him kick. I had worked so hard to have a healthy, natural pregnancy – no diet coke, lots of leafy green veggies, water, and exercise. And then… chemo. Yet, through it all we had a deep seeded hope. We would get through it. Every step of the way there was talk of the end of treatment. Remission. The light at the end of the tunnel was brilliant. On Bennett’s birthday friends and family surrounded us. It was a joyous celebration when he was born healthy and happy. Our hospital room was like one big party. (Despite the fact that I was completely bald and in the middle of chemo.) I was so thankful for him to be here. A complete relief to know he was safe and outside of my toxic body. Nine days after his birth I returned to chemo treatments. On his 3 month birthday I had a double mastectomy. I recently uncovered a journal I kept during this time and was reminded how hard those first months were. Now, this little miracle is 9. He is strong and courageous, kind and a problem solver. He loves soccer, basketball, fishing, swimming, hunting and reading. Yesterday he lay on top of me in the grass and looked for animals in the clouds. He holds my hand and wants me to read bedtime stories. He has a temper as fiery as his bright red hair. His nine years have been joyful – love and hope have shined much brighter than sickness or sadness. But, now as I face metastatic breast cancer – this birthday is hard. Under my laughter there is a deep seeded fear of a day when I won’t be here to bring him breakfast in bed or look at his baby book together and tell him the story of the day he were born. This past week I had a short fuse. I was anxious. I realized I was overwhelmed by change- the emotions of Bennett’s birthday mixed with the major Hope Scarves office move. As I faced these big changes I was really sad for days gone by. I am grateful for all the amazing times in the Hope Scarves office and the pure joy of raising Bennett. But I am sad that these experiences are behind me. I want to freeze time- to go back and live in those magical moments again. I am afraid of the future. The crazy thing is the longer I live with MBC the better I have felt and the stronger my body has become. I am one of the lucky ones. As time marches on there are moments I forget I have cancer. I actually care about everyday things like car shopping (time to trade in the minivan) and redecorating. Other days I feel like a ticking time bomb. Like something inside me is just waiting to go off and destroy the stability I’ve cautiously become accustom to. I work through these changes – I acknowledge they bring me angst. In the acknowledgement I find peace. And in the peace I find laughter, gratitude and love and allow these feelings to exist with my pain. I don’t know how long I will live- but I know I have the power to live the very best life possible. We are raising our children right now. Not in the past, or the future. Right here. today. We are building Hope Scarves – one day at a time. I may be broken, but that doesn’t mean I can’t live each day in a way that makes me whole. This is true for each of us. Sara is one of our most dedicated volunteers- helping week in and week out with data-entry & scarf distribution. Today, instead of getting into her volunteer duties, we sat down with her as our next Face of Hope. I lettered in crew in college – and I wasn’t the coxswain- I was actually a rower! I sent my friend Allison a Hope Scarf when she was in treatment. My daughter bought her a Hope Scarf bracelet at Nanz & Kraft. 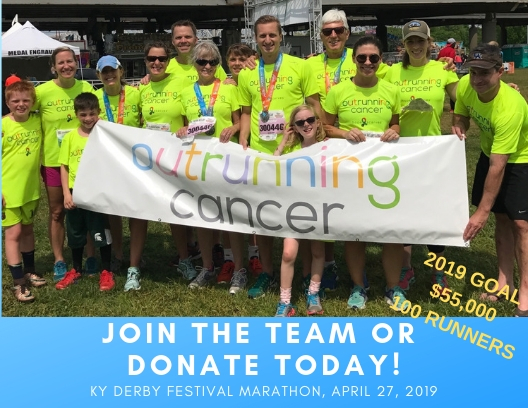 My husband ran on an outrunning cancer team. Through each interaction, I was really moved by the mission of Hope Scarves and wanted to do my part to help. The passion of everyone who works here to share hope and love is contagious. It’s an awesome place to volunteer! What would you tell someone who is thinking about sending a Hope Scarf to a friend facing cancer? Do it! It’s like a lot of things. Everyone wants to do something to help, but you don’t know exactly what the right thing is… this is a meaningful way to just reach out and show support when you aren’t sure what to do. I want to go to South Africa. If your friends or family had to describe you in a couple of words, what would those be? Please share something you learned volunteering at Hope Scarves. Although I’ve never had cancer, reading the stories and seeing how people face cancer so differently is moving – each story is very different, yet there is this common ground of hope. This extends beyond facing cancer – it’s so important to hold on to this as we face each day.